Jemma and I have been back from our trip for a month now and it has given me time to unpack and relive all our fabulous memories. And yes, as I type I’m screaming inside, “I WANT TO GO BACK!” Before I forgot too much from our magical days, I wanted to share a round up of everything I learned on our adventure! If you kids are young, prepare for the trip by having family movie nights to make sure you’ve got the classics covered. Disneyland is way more exciting when they have a concept of the characters they’re seeing. Stop at Main Street City Hall for a button on birthdays, first visit or any other celebration event. Disney is all about making you feel special! Peter Pan is apparently going to have a long line forever and always. If you have a Magic Morning, run there first. RUN! If you don’t have a Magic Morning, buy a snack, buckle down and wait the 40-60 minutes sometime in the evening when the weather cools down. Peter Pan is a favorite of ours and can’t be missed. The Blue Bayou restaurant in New Orleans Square is as awesome as I imagined! Make reservations (way ahead of time) and order that Monte Cristo Sandwich. Don’t skip the gumbo starter – I’m officially a gumbo lover now! Shop BEFORE you leave to save money on souvenirs and other necessities. Don’t miss the Monorail. It’s a Disney classic and has drop off points in Downtown Disney and Tomorrowland. Next time we go, I’ll actually plan to start one of our days is Downtown Disney, take the Monorail to Tomorrowland and go from there. Any restaurant will give you free water. Woohoo! My favorite water stop was at Rancho Del Zocalo because there was an easy spout in the eating area to just fill up on your own. Rancho del Zocalo is actually a very budget friendly place to dine. The portions are huge so two people can easily share a platter. Buy this before you leave. Everyone has one because no one wants to be phone/camera less. If you don’t you can rent a charging locker on Main Street, but that’s just a hassle. I got a billion compliments on my custom Minnie ears from cast members and guests. They’re so awesome and you totally need some. Know your photo opps. Even more, don’t be afraid to ask a cast member or fellow guest to snap a photo of your whole family. Print a coupon for a freebie from Earl of Sandwich in Downtown Disney to make eating out a little more affordable. The coupon will arrive in your inbox after you sign up for their eClub. Eat while watching a parade or standing in line to double up and save a little time. The Disneyland app is bomb. Download it. Print the 5 day view of your trip so you have quick access to park hours and show times. Your kids will have a meltdown. Yes, it’s The Happiest Place On Earth, but kids will be kids. Disneyland and the go go go is overwhelming for little ones. Hence, meltdown city no matter what you do. Accept it. People who wear heels to Disneyland are crazy. Leaving the park midday for a nap is a really, really, really good idea. Skip the heat of the day, rest and return for a late night. This is hands down my favorite Disney blog to read. Her Facebook page is a great resource too. The shuttle is your friend. No one wins awards for hiking through the park and then hiking back to the hotel. Buy the pass and ride it! As much as I wanted to rent a locker and skip a stroller at the park, I truly loved having a stroller. At 5, Jemma couldn’t handle walking all day and pushing was 10x better than having her ask me to carry her. Plus, there is tons of convenient stroller parking! Speaking of strollers, mark yours well. I tied a green bandana onto our handle bar so we could quickly find ours among the sea of strollers. And yes, strollers are available for rent, but I decided that having our own to use in the airport and on the walk to and from our shuttle and/or hotel was worth hauling it. I bought this one, technically for the new baby, but it doubled as a great accessory for our trip. Get a free sample of warm bread from the Bakery Tour store in California Adventure. Pack an essential oil diffuser. During our naps and at bedtime I diffused OnGuard to keep travel germs away and we stayed so healthy during and after our trip. Pin trading is an awesome park activity. So much so that I’ve got a post dedicated to it next week – stay tuned! Pixie Hollow is the sweetest little place. I love that they’ve given Tinker Bell her own world and friends. Plan to stop there and meet some of the fairies in between Tomorrowland and the Matterhorn. It’s a Small World is air conditioned, as is the back end of Mickey’s House – both were welcome stops in the middle of a warm day. Your kids are going to beg you for a stuffed animal :/ We ended up with a Diamond Celebration Minnie AND Marie from the Aristocats because I got sucked into the joy of Disneyland. All that to say, this was the most meaningful souvenir I purchased in the park. So beautiful and timeless. And my personal souvenir to remember our trip of a lifetime. They stack so beautifully! If Elsa and Anna are hits with your kids be at the rope drop in Hollywood Land in California Adventure 30 minutes before the park officially opens. A cast member will walk you straight to their meet ‘n greet. From there you can catch the first showing of the Frozen Sing-Along – so cute! It snows at the end! Your best bet at all the other princesses —> here! Dole Whips are fabulous (and dairy free! ), but don’t wait in the long line that snakes towards Aladdin. Instead, enter The Tiki Room waiting area and stand in the line on that side right before you see the show. Buy your princess dresses before. They’re seriously $70 without accessories at the park — yikes! If you shop in the Fall at Costco, dresses with accessories are only $25! Use the VscoCam app for your photos. They have the best filters and turn out just as fabulous as a bulky camera. I mean, just look at this! Choose a hashtag for your trip. That makes whipping up a Chatbook commemorating your trip easy peasy! Think about planning your outfits Disney bounding style! We didn’t this time, but I’m totally planning it for our next visit. I saw the coolest moms starring as Snow White and Ariel while at the park. For a cheap(er) souvenir, consider having your kid’s silhouettes done on Main Street. Take the art class at California Adventure! Somehow we missed this and I regret it! Take protein rich and healthy snacks into the park each day – while waiting in line Jem and I powered up on granola bars, trail mix, dried fruit, and fruit from our hotel’s breakfast buffet. Snacking allowed us to only sit down and pay for 1 meal a day … money saver! Breakfast was at our hotel. This is where we stayed. Perks … breakfast included, comfy beds, clean, covered pool, super kind staff, shuttle drop off, and right across the street from the Anaheim Garden Walk. Only downfall was that it’s a solid 15 minute walk to Disneyland so plan to walk or utilize the ART shuttle. Learn Fast Pass theory. I was skeptical, but it was easy and made our day go smooth. These gals got Disney knowledge. Love them! Discussions about “pretend” didn’t ruin Jem’s trip one bit. Instead, I feel like they helped her embrace the awesome and let go of the things that would have otherwise scared her. For example, we talked a lot about Pirates of the Caribbean and how the characters were pretend and their fights weren’t real. So much at Disney is realistic and I wanted her to enjoy it without taking too much of it to heart. Everyone thinks the rides are the best part of Disney, but no, Jem talks constantly about this show and this parade as being her favorite experiences. Rumor is, the Aladdin show is going away :( If you’re in Disney before it comes to a close, GO! I’m still amazed at the flying carpet scene. For the evening shows, take your Fast Pass and ask a cast member if seated space is available. I was blessed during two different evening events to be offered a reserved bench. At the end of a long day there was nothing better than a break! Say please, say thank you, touch your belly, and smile … watch Disney do its magic to make sure you’re taken care of. Plan your days to go slow and steady. Hit some rides, watch a show, do a few more, head to the Tiki Room, ride something and then find a place to sit for lunch. Alternating throughout the day gives your body time to rest and keep going well into the night. Stay hydrated! Guzzle, guzzle, guzzle! And use the Disney app to keep tabs on your closest bathrooms. I think I visited them all, lol! Nap if you need to. Better yet, make yourself nap. An hour or two break mid-day will allow you to de-swell, rest, and press on for a magical evening. 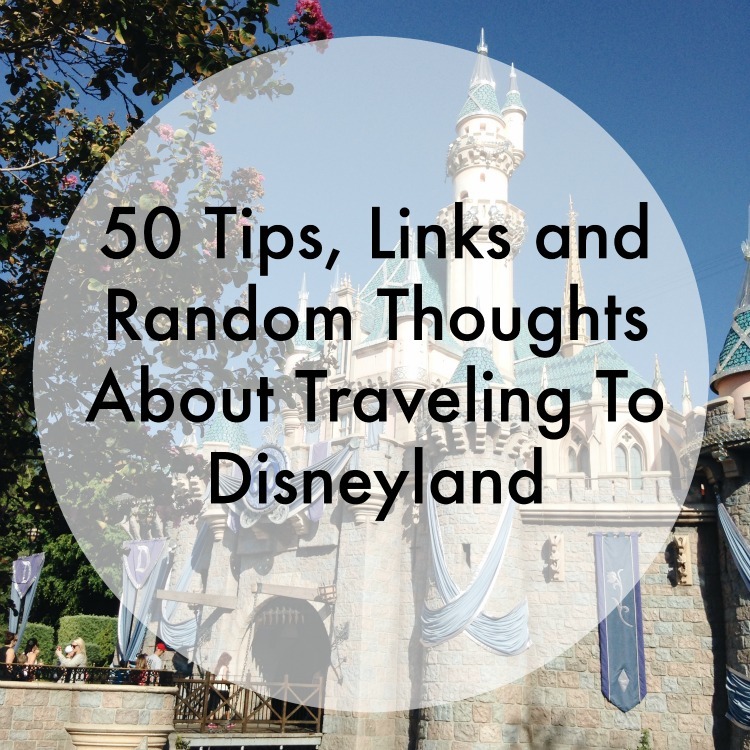 Share your best Disney tips in the comments! Really great tips! Rancho Del Zocalo was our favorite, so yummy, and very affordable.